Rent these tools that might be used on any gun. Heat sink for use in Winchester 70 Bolt. Heat sink for use in Enfield Bolt. Heat sink for use in Remington 700 Bolt. Heat sink for use in Springfield 1903 or 03-A3 Bolt. Heat sink for use in 98 Mauser Bolt. Comes with an adapter for standard 3/8″ square drive. Adapter can be removed to expose thread if you are using PTG or other tools that have a threaded drive end. Includes a thread alignment tool (TAT) 7.62 Russian. When using a TAT make sure the tool never touches the end of the barrel, only the pilot. If the TAT is allowed to touch the muzzle it is likely the tools will be damaged or you will damage your new threads. Includes a thread alignment tool (TAT) 5.45×39 Russian. When using a TAT make sure the tool never touches the end of the barrel, only the pilot. 22-6mm (243) Specify pilot below. These tools are not tapered, they utilize a pilot bushing and a dial indicator. Hold your bolt handle aligned properly to the bolt body while welding. 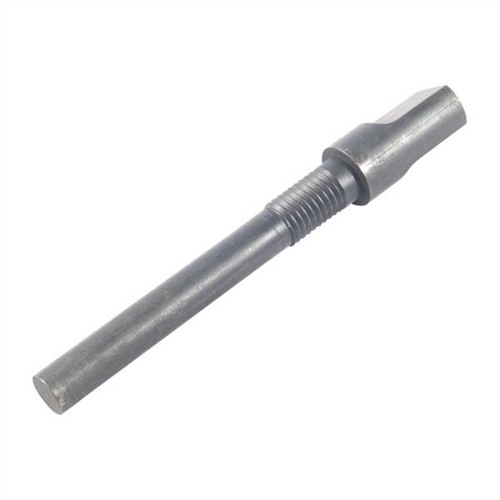 Suggest ordering a heat sink at the same time to protect the threats and heat treat of your bolt during welding or brazing of the new bolt handle. 257-7mm (280/284) Specify pilot below. 30 caliber and up. Specify pilot below. 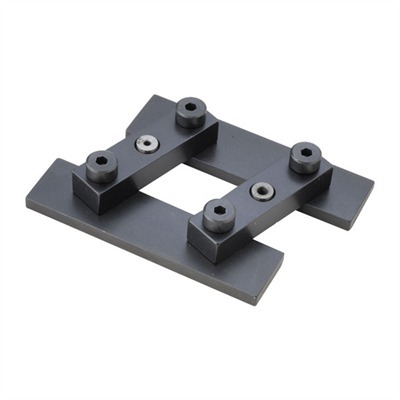 Heavy-duty blocks allow you to firmly clamp AR-15/M16 receiver halves in a vise without risk of crushing, twisting, or otherwise distorting them when applying vise pressure or torquing the barrel nut. 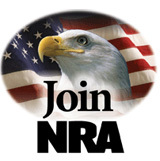 Keeps your rifle secure for safe, effective cleaning, assembly, and repair. 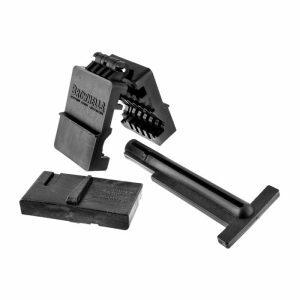 High pressure, solvent resistant, structural Rynite block and insert surround the entire upper receiver and support it inside and out to make rebarreling the AR-15/M16 an easy, one-man job. 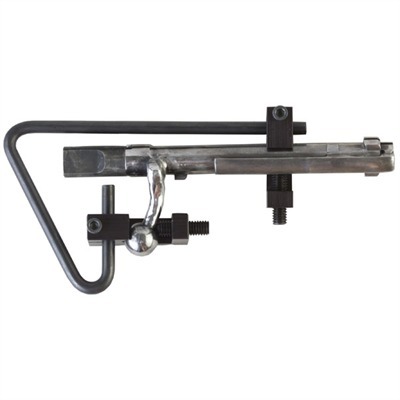 Lets you firmly secure a mil-spec carry handle receiver or mil-spec flattop receiver in a large bench vise for barrel removal/installation. Torque generated while tightening the barrel nut is transmitted to the block and insert, not the receiver. 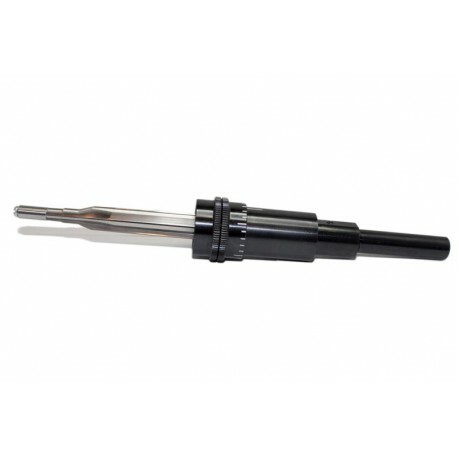 Minimizes the possibility of damage to the barrel detent pin and receiver detent notch. Holds securely without marring the finish. DO NOT USE ON BILLET UPPERS OR LEFT HAND UPPERS, OR DAMAGE TO THE UPPER CAN RESULT. Put a bushing between the two halves and turn the outside diameter to match the slide. 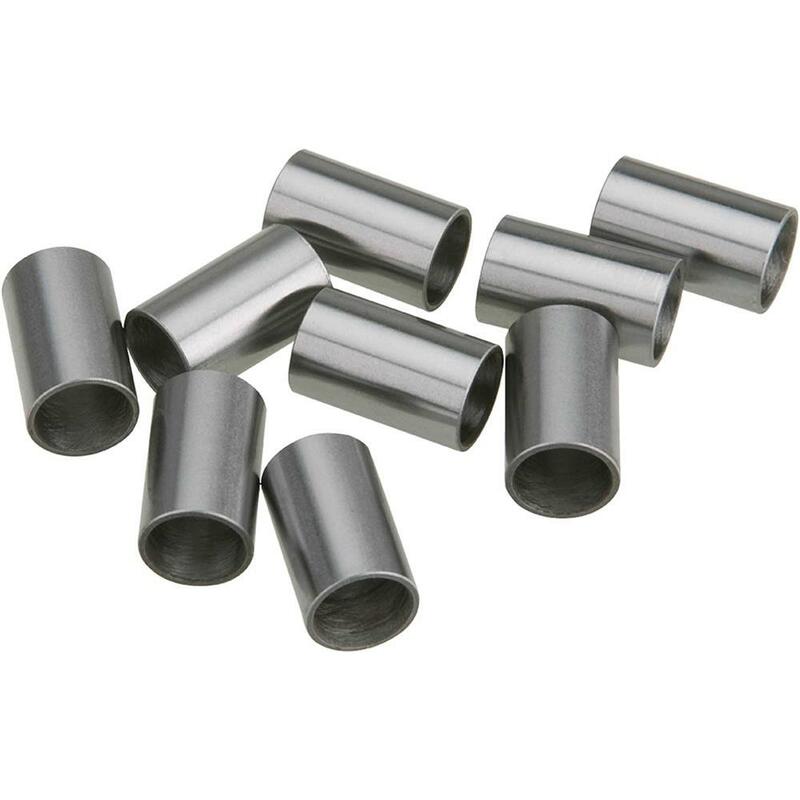 Can be used in a lathe or Drill press to resize the bushing. No bushing included. Put a bushing between the two halves and turn the outside diameter to match the slide. Can be used to fit comps directly to the slide. 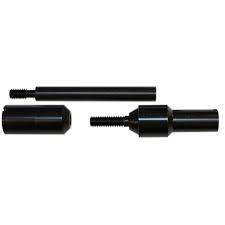 Can be used in a lathe or Drill press to resize the bushing. No bushing or comp included. Easily Drill and Tap your action for scope mounts. 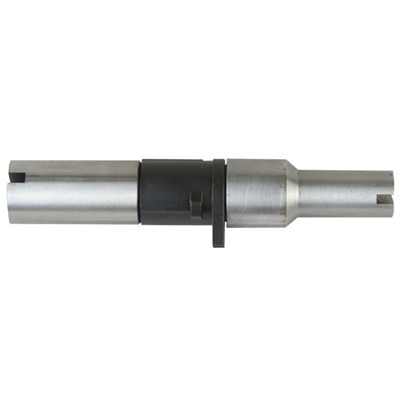 1/2″ straight shank for use in all Lathes and Mills. Precision, repeat-ability, and ease of use: these are the benefits of P. O. Ackley Micrometer Reamer Stop. Now you can do production runs with your Chamber Reamer, without having to index each workpiece axially. You’ll be assured of consistent headspace, chamber after chamber! 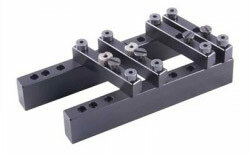 To set up, insert your Chamber Reamer shank in the Reamer Holder and tighten the two set screws. 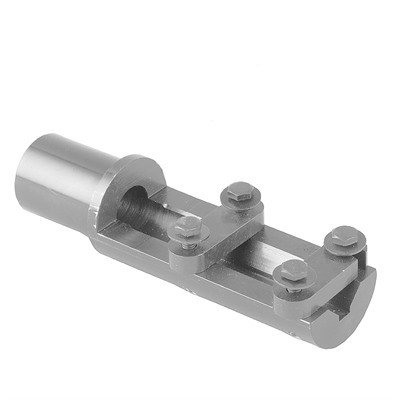 Then insert the reamer holder into the Stop Cylinder assembly (micrometer threaded Stop Cylinder with .001″ Adjustment Nut, Lock Nut and optional Plug Nut). Make a rough cut in the chamber (leave about .025″ extra material). Now, with the reamer bottomed in the rough chamber, move the Stop Cylinder assembly into contact with the work piece and secure it to the Reamer Holder with three set screws. You can now adjust the depth of the finish cut in increments of .001″, or even less. The Adjustment Nut is marked with 25 equidistant markings around the circumference, each of which corresponds to .001″ of axial adjustment. By backing off the Adjustment Nut and re-securing the Lock Nut, then repeating the cut, you can zero in on your specified headspace measurement. Adjustments of .0005″ can be made with confidence. We recommend use with our floating reamer holders for best results, with this rental. 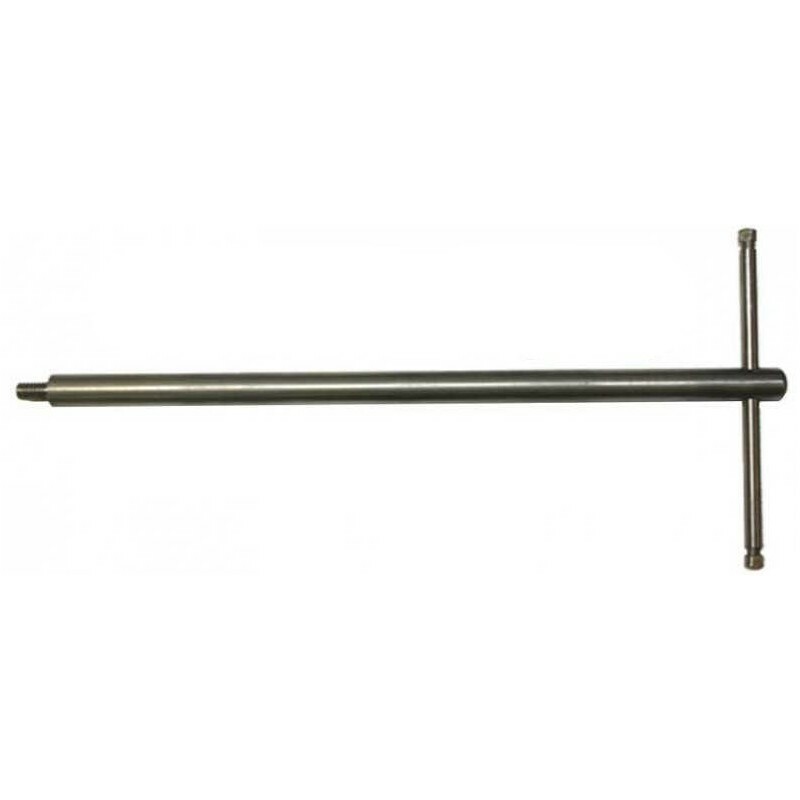 .437″ straight shank for use in all Lathes and Mills. 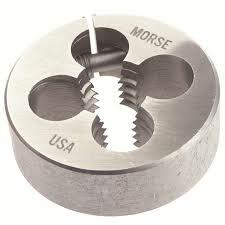 Simple and rigid lathe fixture that holds most common rifle bolts in a four-jaw chuck for face and locking-lug truing (both front and rear surfaces) or opening up the face to accept magnum cartridges.